You’ve no doubt heard of LinkedIn, the social networking site aimed at making business connections and assisting with job hunting. You may even have your own personal profile there. However, unless you have a LinkedIn company page set up and optimized for your business, you’re not making the most you can out of the platform. Fortunately, it’s easy to get a LinkedIn company page off the ground. Once it’s in place and optimized, your business will be open to a wider range of possibilities. This includes a large database of prospective employees, and the ability to use your extended social network to recruit new clients. 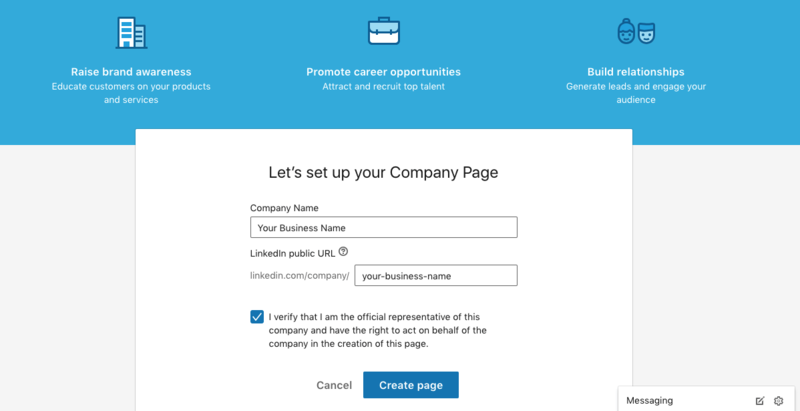 In this article, we’ll go over how to set up and optimize your LinkedIn company page from scratch. Let’s go! There are many reasons why it’s crucial for your company to have a polished, clean LinkedIn page. With over 450 million users, LinkedIn is the most popular social networking site that’s targeted specifically at professionals. For prospective employees, LinkedIn is one of the first places many go to gather information about your company. You’ll want them to get a clear idea about what kind of business you are, as well as your history, goals, and values. You can also post a job, in order to tap into LinkedIn’s powerful employee database. There are over four million contractors on LinkedIn who have indicated that they’re looking for work. Especially since there’s currently a labor shortage in the US, you’ll want to get as many eyes as possible on your job listings. For potential clients, LinkedIn is also a valuable tool. 80% of Business-to-Business (B2B) leads originate on the site, and the overwhelming majority of B2B marketers use LinkedIn. What’s more, this platform’s base skews toward educated, high-earning users. Targeted keywords can help connect interested clients to your LinkedIn company page. In addition, LinkedIn is also an excellent way to take advantage of your ‘natural market’ – the acquaintances and friends-of-friends who know someone who works for your company. In other words, visitors will be able to see mutual connections with your company. If they notice that their cousin Sally knows one of your employees, they may be more likely to choose you over your competitors. Other benefits of having a strong LinkedIn company page include the ability to share press releases and blog posts, connect with other businesses, and attract followers. In short, it’s a platform well worth targeting for nearly any business with an online presence. Now that you understand the benefits of LinkedIn for your business, you may be eager to get started. Fortunately, the process of building and optimizing your LinkedIn company page isn’t hard. Let’s walk through what’s involved, step by step. If you don’t have one already, you’ll first need to create a LinkedIn account using a verified email address. It’s usually best to use your own account for this setup process, so that you’ll have admin privileges and can change the password if necessary. You can always add other employees to help manage the account later. You can sign up in one click using your Facebook account. Alternatively, type in your email address, choose a password, and select Agree & Join. On the next screen, enter your first and last name. Per LinkedIn policy, you must use your real name. Then, follow the prompts to enter a little more information about yourself. When you’re done, check your inbox for a verification email, and click on the link provided to verify your account. Think carefully about what your public URL will be – this cannot be changed later. It’s best to stick with something short and professional, or simply use your company’s name. If the name is very long, you might want to shorten it, to make it easier to type. For example, the publishing company Chicken Soup for the Soul might shorten their public URL to just “chicken-soup” for convenience’s sake. If your company’s name is already taken, consider adding a keyword to it. Again, it’s easiest on users if you pick something simple, such as your business’ location or the type of company you are (for example: “desanto-hardware” or “buttercup-florist-LA”). Once you’re happy with the URL, select the Create Page button. This will bring up a prompt that will let you upload a file containing your logo. 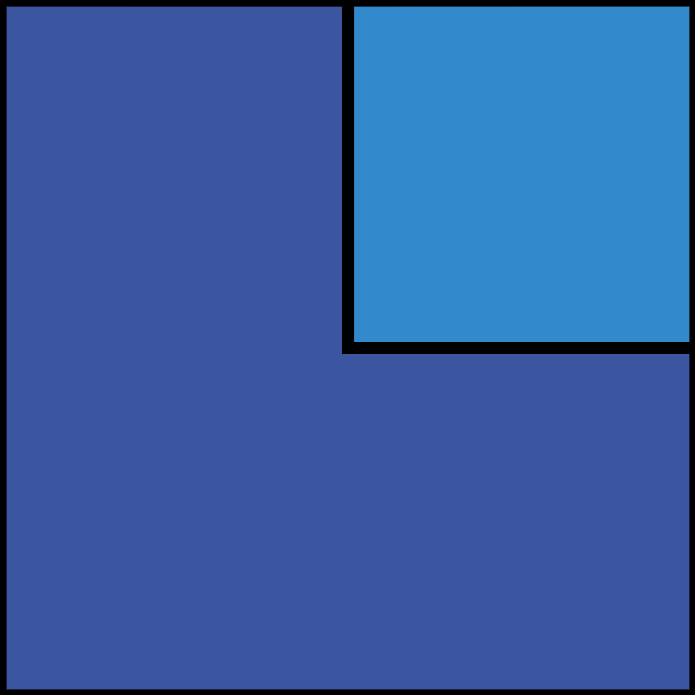 Make sure to choose a high-resolution image with square dimensions, so that nothing gets cut off or appears blurry. Next, you’ll want to include a cover image. 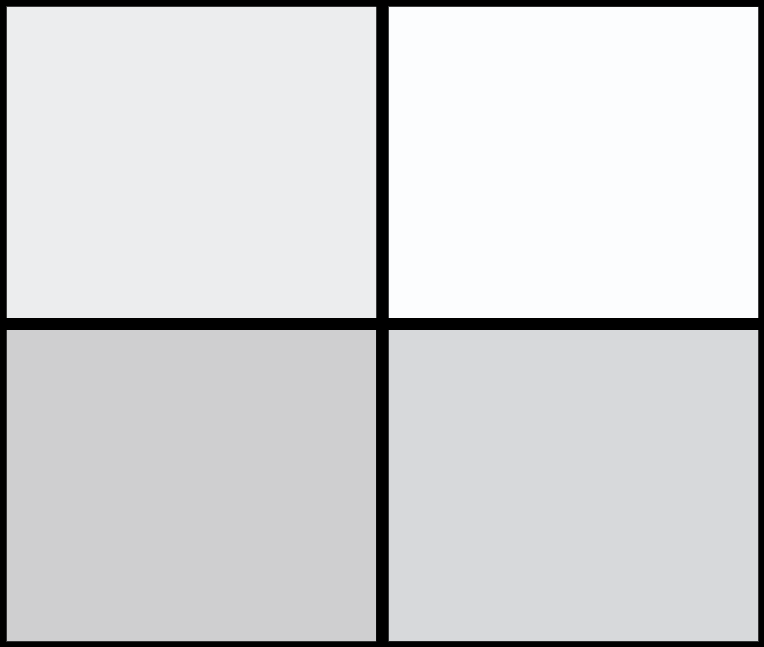 This is a background splash for your page – the blue area pictured above. You could go with a stock image of something related to what your company does, for example, or a nice photo of your company’s city. You can add this element by selecting Update cover image. Again, this will bring up a prompt to upload a file. The recommended size is 1536 x 768 pixels. 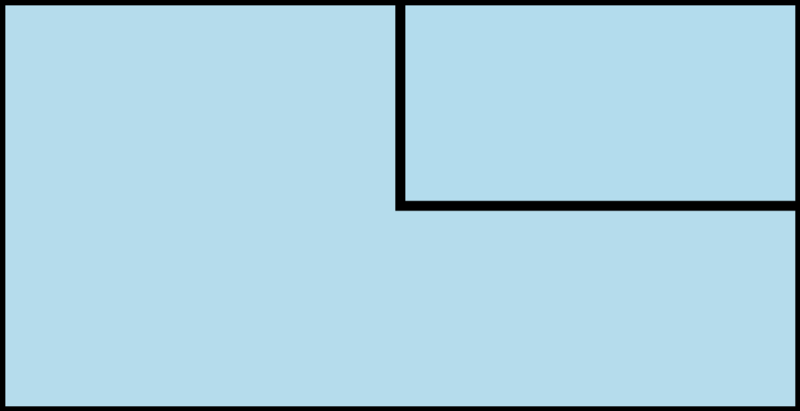 If you use a different size, the site may scale it to be larger or smaller. When your logo and cover images are in place and looking good, hit Publish to make your changes live. This description should be focused and direct, as most visitors to your page will be busy people. What’s more, LinkedIn allows no more than 2,000 characters in this section. Therefore, aim to provide a quick and compelling overview of what your business does, focusing on how you help customers or clients make their lives better. Since LinkedIn is targeted at industry use, you can get a little more technical in this description than on other social media sites. It’s also a smart idea to include at least one or two keywords here – this can help interested prospective customers and employees find your page through organic searches. Of course, the same rules apply for keywords here as they do anywhere else: incorporate them naturally, and don’t overuse any particular word or phrase. 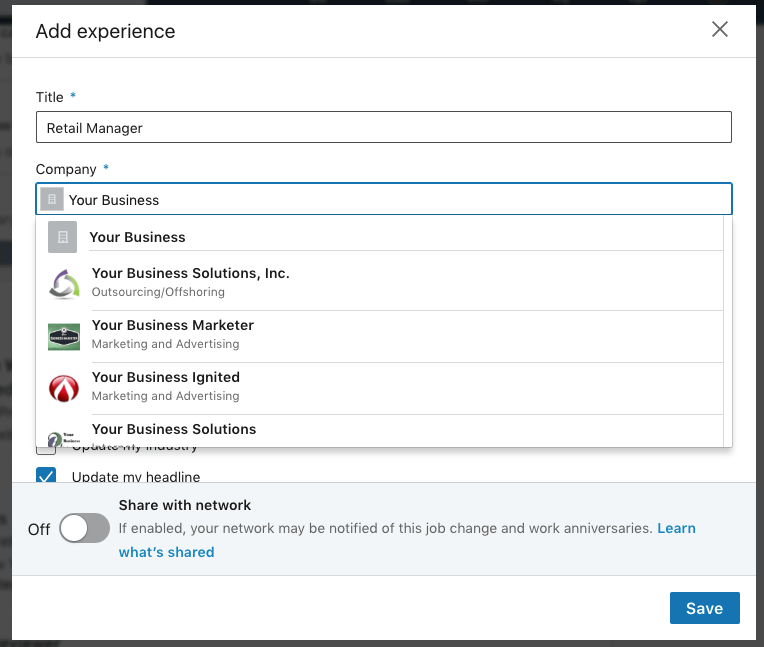 One of LinkedIn’s most useful features is that you can display a roster of your current employees – and members of their social networks will be able to see those connections when they visit your page. This can help sway people in favor of your company since it’s a form of social proof. In other words, if someone sees that a trusted member of their extended social network works at your business, they may be more inclined to reach out. While you’re at it, you’ll also want to ask them to follow and share your company page. This will help it start gaining traction a little faster. After your LinkedIn company page is set up, you’ll need to remember that it’s not a static resource. It’s important to actually update and use the page if you want to increase the chances that it will result in improved business. This will help you to appear in other users’ news feeds – the scrolling list of news and blog posts your LinkedIn followers will see on their home pages. If you make your posts public, they will also be visible to the entire LinkedIn community, which may help new clients discover your business. You can even use relevant hashtags, so people searching by subject can find your posts. You can use the image that automatically generates from your link, if there is one, or upload your own image or video by using the buttons below the post. When you’re done, select Post to make the new content live. In addition, make sure to occasionally re-post content to your own personal LinkedIn profile as well. As a business owner, you are literally the face of your LinkedIn company page, and it’s important to remain active. Having a personal LinkedIn page is a good start, but isn’t much help to your company as a whole. Your business also needs a professional LinkedIn company page. Optimizing this page will help prospective job hunters and clients find and connect with you more often, and can help you keep in touch with clients you already have. Set up your company page and choose a public URL. Add a logo and cover image. Have your employees add themselves to the page. Share relevant news and re-post your company’s blog posts. Do you have any questions about how to use LinkedIn for your business? Let us know in the comments section below!